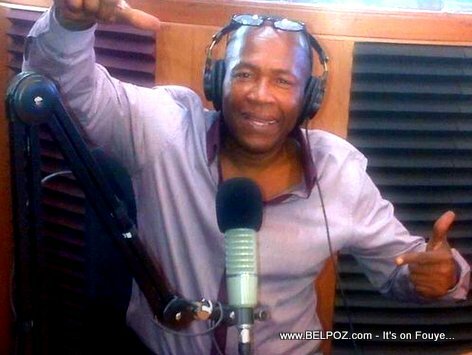 Breaking News... Jean Marie Gabriel, one of the hosts of the morning show Matin Caraibes on Haiti Radio Caraibes FM, is dead... Jean Marie Gabriel died Wednesday night, 12 Nov 2014... Co-host Caleb Desrameaux tweets: "Jean Marie Gabriel pa m nan mouri mezanmi !!! Mon célèbre compère..."
News are pouring in on the Haitian social media networks, Jean Marie Gabriel died from a respiratory problem, he had Asthma. « Haiti - Radio lòt nation pa janm jwe mizik Haitien, Radio Haiti jwe TOUT bagay - Poukisa? I think it could be better saying Jean Marie Gabriel "died", instead of "is dead". Radio Caraibes FM ap pale de Jean Marie Gabriel ki mouri yeswa Mecredi 13 novenm lan. Denye bagay misye di sou Radio Caraibes sou zafe sport: "Maten an, mwen kanpe a Cristiano Ronaldo"